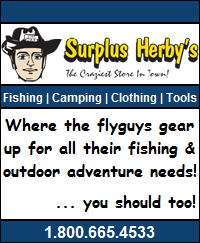 2011 Okanagan BC Interior Fly Fishing Season Report! 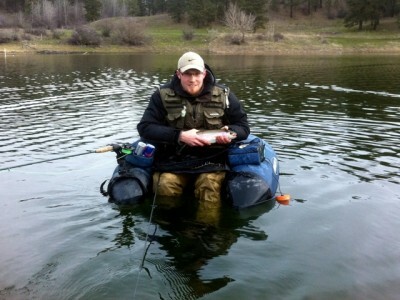 You are Here: Home >> Blog Posts >> Fishing Reports >> Our 2011 Okanagan Fishing Season! Another day, another Okanagan lake! We (that’s me David and my buddy Chris) had a very steady and fun season fishing small lakes near and far from Kelowna. 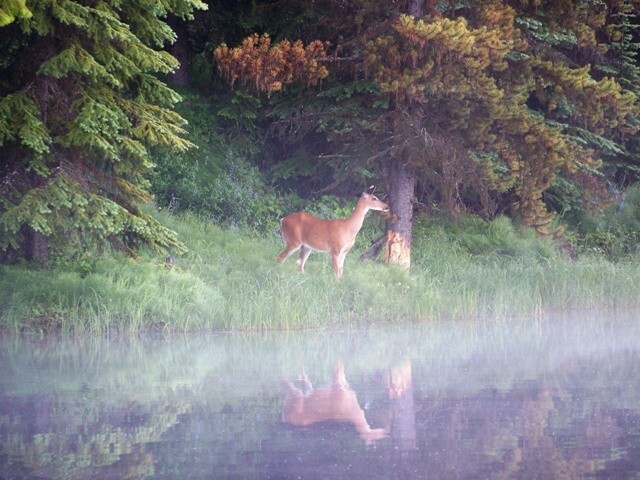 We truly enjoy the beautiful nature and quietness of those small remote lakes (of course big rainbows are always a plus! 🙂 ). One of many of 2011's fly fished bows! ... a whitetail deer on the shore of an Okanagan still water lake! 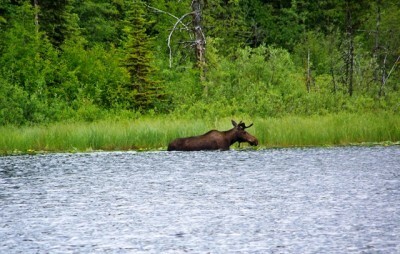 ... a moose walking the edge of an Okanagan still water lake! ... check out the gorgeous colours on this guy! 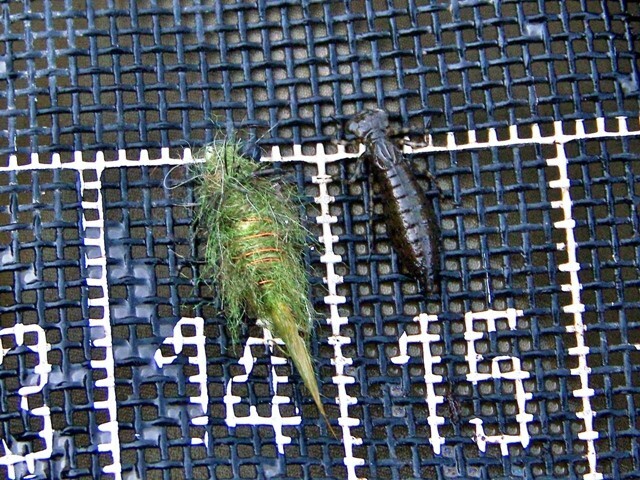 Our most productive patterns this year where a black size 10 marabou leech, size 12 cromee chironomid with white bead head cooper wrap and peacock herl thorax and a size 10 caddis fly pupa in olive green. We found that these 3 patterns were responsible for about 65% of fish hocked. 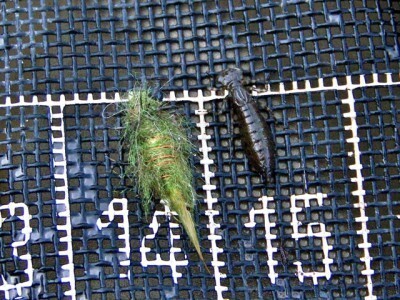 The other 35% of the damage would go to dragon fly nymphs, damsel fly nymphs and shrimp in different sizes. ... one of our favourite dragonfly nymph patterns! Since it is time now to hang up the belly boat up in the garage for the winter, I thought it would be nice to share a few images from my season 2011 with all of you. 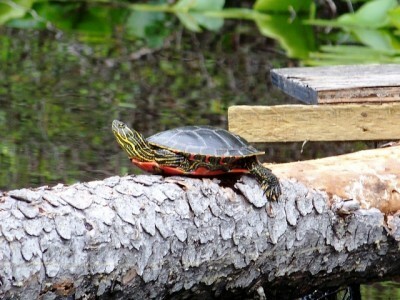 So I put them all in slide show for you to enjoy! So there you go that was my season and I’m hoping for repetition next year, until then tight lines to all of you out there! This entry was posted in Fishing Reports and tagged BC Interior Fishing Report, Fly Fishing Pictures, Fly Fishing Video, Okanagan Fishing Report. Bookmark the permalink. 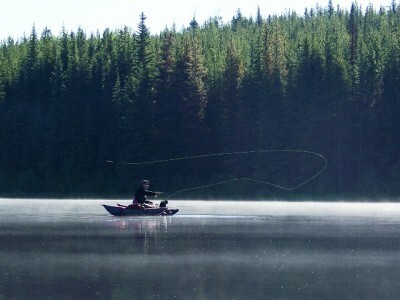 9 Responses to Our 2011 Okanagan Fishing Season! Great job David!!! Thanks for the report, pictures and video! 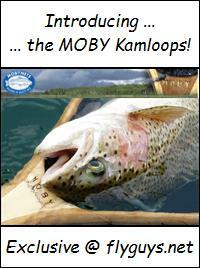 Just what I needed to see on this cool wintery Kamloops day! OH OH … looks like youtube just disabled your audio! 🙄 Oh well still cool pics but please do update us if/when you get it straightened out! thanks to chris we finally got this copy right thing figured out:smile:. The Video has got sound now so enjoy the show. 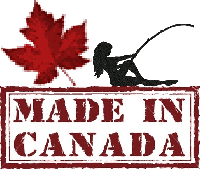 All right I made the cover picture:) fishing this year was awesome. Had lots of good times. Got out fished this year by Dave but spring will be here soon enough. I will work on the copy right laws for the music and let ya know when it’s back up. Tight lines & happy holidays to the both of you!